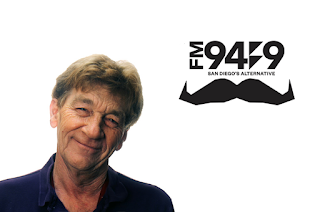 San Diego, CA: San Diego’s #1 Alternative Station, FM 949 (KBZT FM) has announced the station’s 2016 Movember initiative with on-air and online auction items to raise awareness and funds, hosted by prostate cancer survivor and Legends of Alternative host Steve West. The month long campaign, focused on raising awareness and funds for the Movember Foundation, will feature on-air auction items every week including chances to host Legends with Mr. West, as well as weekly silent auction items which include one-of-a-kind autographed items, concert tickets, and more. The Movember Foundation is committed to raising funds and awareness for men’s health issues, including prostate cancer and mental health issues. The month long initiative occurs every November, and is supported by various organizations and companies, all coming together with the common goal to help minimize and eliminate serious men’s health issues. About FM 949: Owned and operated by Entercom Communications, KBZT is San Diego’s highest rated Alternative Rock station. Entercom Communications Corp. (NYSE: ETM) is the fourth-largest radio broadcasting company in the U.S., reaching and engaging more than 40 million people a week through its 124 highly rated stations in 27 top markets across the country. Entercom is a purpose-driven company, deeply committed to entertaining and informing its listeners with the best locally curated music, news, sports, and talk content, driven by compelling local personalities. Entercom delivers superior ROI by connecting its customers and audiences through its leading local brands and unparalleled local marketing solutions, which include over 4,000 events each year, and its SmartReach Digital product suite. Learn more about Philadelphia-based Entercom at www.Entercom.com, Facebook and Twitter (@entercom).